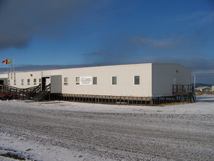 The Inns North Sanikiluaq opened in the spring of 1998, owned and operated by Mitiq Co-op, accommodates 16 people in eight rooms. Each room has cable TV and a private washroom. The Hotel also has a meeting room that seats up to 20 people. The hotel's restaurant serves the public as well as guests, and the chef prepares bagged lunches if given advance notice. 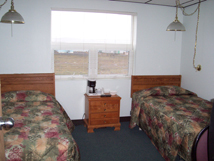 Prices for rooms are $275 per person per night. 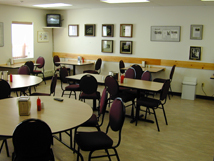 Approximate prices for meals are: $15 for breakfast, $20 for lunch, and $25 for supper. 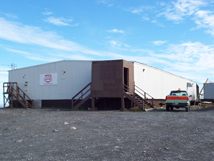 Experience Arctic hospitality at its best at The Inns North Amaulik hotel in Sanikiluaq. As operator of the local co-operative, our experienced staff can easily arrange supplies, food, transportation and accommodations for your Arctic adventure.